If you have one complaint about food trucks, it’s the truck part. That whole being mobile thing. Because sometimes when you’re here, they’re there (inconvenient, we know). If only they had a permanent home. 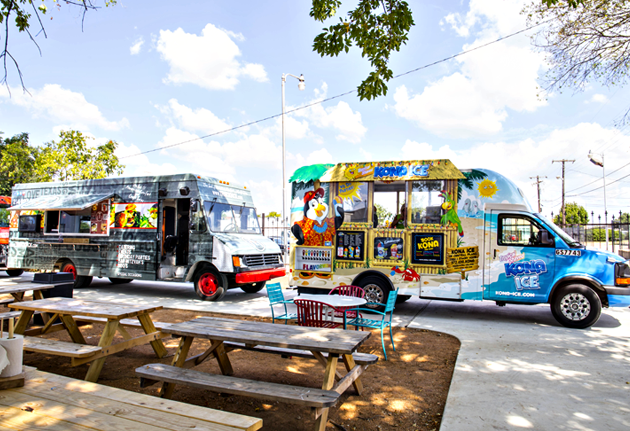 Enter Cedars Food Park, Dallas’s first immobile sanctuary for mobile eateries, grand-opening Saturday and officially opening August 1 at Heritage Village. Keeping track of Dallas’s 60-plus trucks: a logistical nightmare (even your maps have charts). But soon, there’ll be a regular spot for things like food truck banh mi and fried apricot pies. A spot that’s also full of Victorian-era homes. So... a natural choice. If you think there’s a chance you might crave an international smorgasbord of foodstuffs (like Korean tacos and Cuban sandwiches) this weekend, swing by the grand-opening on Saturday. 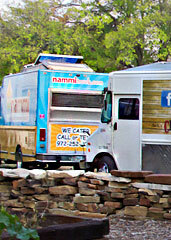 What you’ll find: 18 gourmet trucks and one sprawling lawn. Also, picnic tables, Deep Ellum beer and live music. You know, the basic means of summer survival. And following Saturday’s preview, the park officially opens Wednesday for lunch (dinner and beer start August 16). Expect a rotating cast of four to six trucks serving everything from hot pho to fully dressed po’boys. Also, a few foods that don’t start with the letter P.